We all know the problem and many of us have struggled with it firsthand – addicts don’t always want to go into treatment even when they obviously need help. We’ve heard the reasons too, from lack of motivation to denial to flat out lying. Fortunately, the reasoning we’ve been given is very often wrong and people do want help. Nevertheless, the power of our perceptions is incredible and where we expect resistance, we typically find it. That’s why so many families with a loved one who is struggling with excessive drug or alcohol use seek to plan interventions. That’s what Joey’s family did – they got together his closest friends and family and worked with an interventionist who helped them confront Joey with stories of how he has negatively impacted each of them. They made him feel bad and there was a lot of crying. In the end, Joey had a choice – leave immediately for a rehab they had waiting for him or risk losing all contact and financial support. The idea for Joey’s family was that by forcing him to confront the damage he’d created, he would become motivated to get help. By assembling loved ones and presenting an ultimatum, everyone hopes to force the addict to hit their “bottom,” pushing them toward recovery and avoiding further destruction. This style of intervention is known as The Johnson Model (JM), and it was created in the 1960s. Through popular media displays, including shows like A&E’s “Intervention” and use in popular movies, this style of intervention has become the most publicly recognizable version of addiction help. It’s dramatic, forceful and it seems to make sense. But it’s difficult to perform (approximately 60% of families end up not going through with it) and often results in clients entering treatment and then quickly leaving, because they were never truly motivated in the first place. That’s what ended up happening to Joey. He spent five days at the treatment center before going AWOL and ending up back at his parents’ house. They attempted following a similar approach three different times, each ending with nearly identical results. The reality is that when people are cornered they will do almost anything to resolve their immediate crisis. In the case of an intervention, that might mean agreeing to go to treatment just to get everyone to stop the process and feel appeased. That’s what Joey told me he had done – he went to rehab to “get everyone off his back.” But when you are trying to get someone to admit to needing help, it can often be more useful to make them part of the process than to ambush them. Otherwise, you might be getting lip-service when what you really want is change. Fortunately, there are alternative intervention approaches to the Johnson Model. 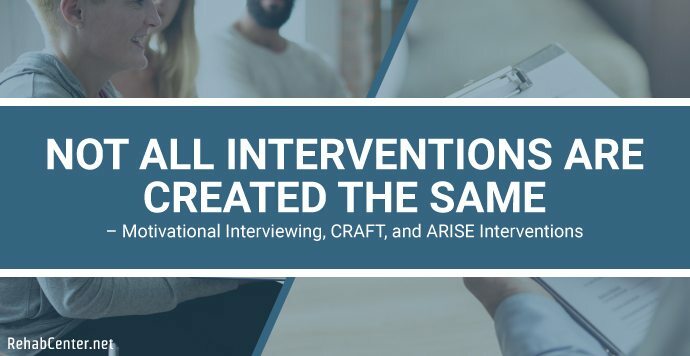 Some of the most effective methods to get individuals who are resistant to treatment to get help include Motivational Interviewing (MI), and CRAFT (Community reinforcement and family training) along with the ARISE model of intervention. These more recent and less confrontational approaches also employ professional counselors or interventionists, although in these interventions, the goal is to move the addict into a state in which they themselves are motivated to change their behavior (MI) or focus on teaching behavior change skills to use at home by family members and loved ones (CRAFT). 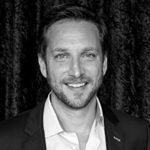 By using common psychological techniques such as mirroring and reflecting, MI practitioners gradually make the client recognize and face the significance of their actions, taking the burden of motivation away from loved ones. CRAFT practitioners, on the other hand, use a manual-drive method to improve the addict’s awareness of negative consequences, reinforce non-using behavior, and improve familial communication skills. In the ARISE model, multiple meetings are held that include the professional, the target patient and the family, but nothing is conducted behind the target patient’s back so as not to create mistrust. All of these methods also prepare family members (or friends) to initiate treatment, if necessary, when the patient is ready. Though far less dramatic and “TV worthy,” MI has been shown in research to be very effective at increasing clients’ motivation to change in many different situations including addiction treatment. It’s also my favorite technique because it allows for amazing, non-confrontational, change. It’s amazing what can happen when we let a person be the driver of their own change. Some reasons to question the confrontational Johnson Model have to do with the fact that, although they’ve been shown to increase treatment entry rates once a successful intervention has been performed, they haven’t been shown to do much for treatment completion rates. Multiple studies have found that a small percentage of those who seek consultation in this method actually go through with the family confrontation portion. Instead, the more collaborative and supportive MI, CRAFT and ARISE methods have greater participation and have been shown to provide even better treatment entry as well as improvement in communication and overall relationship satisfaction between the families and the addicts (which JM interventions provide as well). Additionally, a significant portion of individuals who enter treatment after a JM intervention end up leaving treatment early or relapsing quickly since they themselves have not yet internalized the motivation to quit. This phenomenon can be seen in Corinne’s episode of A&E’s Intervention. Addicted to heroin and crystal meth, Corinne had lost control of her life and her family was desperate to save her. Corinne is a diabetic and has been using her needles to shoot-up heroin and meth instead of insulin. When Corinne overdosed, her family knew they needed to do something and brought in an interventionist. The interventionist worked to emphasize how desperate the situation has become and encouraged the family to be forceful with Corinne. She explained that this is a life or death situation and that if Corinne refuses treatment, they might consider turning her in to be arrested. As Corinne arrives, she reacts harshly and explains that she is not “ready” for treatment. Corinne ended up feeling the room for a short time only to return and agree to go into the treatment center, as her family had requested. As is too often the case, Corinne struggles at the first treatment center and is quickly transferred to another. Eventually she manages some sober time and her family is overjoyed, but the joy is short-lived when three weeks after taping, Corinne relapses several times. While relapse is a common part of the recovery process, I believe that these examples reveal just how ineffective and counterproductive confrontation can sometimes be. While some find it useful, I believe it’s important to be familiar with every tool available when considering how to help an addict, This is why I believe that knowing about MI and CRAFT (as well as other intervention methods), in case the more popular Johnson Model Intervention doesn’t work, is crucial. In the end, all that matters is that we get the person to embrace change. It’s a matter of life and death. Journal of Substance Abuse Treatment - The ARISE Intervention: Using family and network links to engage addicted persons in treatment.